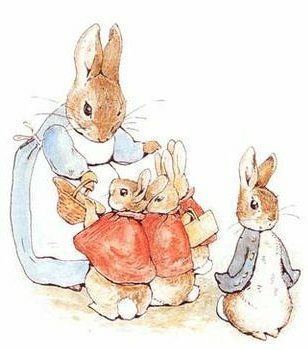 Giant Treasury of Peter Rabbit by Beatrix Potter. The lovely lady at the counter was eager to tell me about the rabbit she had as a girl named Peter - after she had a chuckle at my purchasing childrens books. I didn't feel the need to tell her that most of my collection of the illustrated reads come from her store. I'll hold off until I come across The Animals of Farthing Wood and tell her I'd like a fox named Reynard.